For many families, the "shut up" response is an "A-side/B-side" issue. Here, James Lehman MSW tackles the problem from both perspectives, and shows you how to eliminate it from your family’s vocabulary. If your child tells you to shut up, the best thing to do is not give it power. And by arguing, talking and fighting back, you’re giving it power. Instead, the next time it happens, try saying, “Don’t talk to me that way, I don’t like it,” and turn around and leave the room. When things have calmed down, tell your child what the consequence is for his or her rude behavior. And by the way, there should be regular consequences in the house for things like cursing, name calling, and rude behavior. They should be functional consequences, like “No cell phone for 24 hours.” That way, kids know what will happen if they break the rules, and you don’t have to repeat it every time. 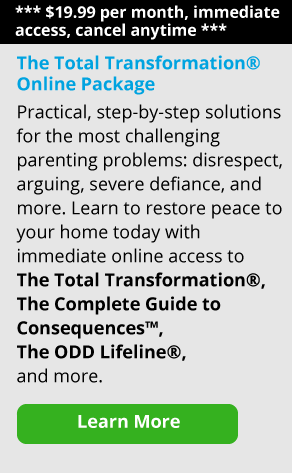 So you don’t have to fight with them, just use the consequences that you think would be most effective with your child, whether it’s no video games for 24 hours, or taking away their cell phone for a day. On the other hand, do you ever find yourself saying, “Just shut up and do it!” to your child? Parents tell kids to shut up for a variety of reasons. But ultimately, it’s to exert their control over the conversation. Sometimes they want backtalk to stop, sometimes they want complaining to stop, and sometimes they’re just tired of listening to their child. No matter what the context, saying “Shut up” is rarely helpful and never appropriate. It begins a power struggle which the child may not be willing to lose. Remember, there are many things to fight about with children; this shouldn’t be one of them. The reality is that “shut up” is a rude, offensive comment. Kids learn that fact very early through various channels, from movies, music, school and TV. So when you’re saying “Shut up” to a child, they know they’re being insulted. And the last thing you want is teach your child how to say “shut up” to you or anyone else.